Everton manager Ronald Koeman has admitted that in-form Romelu Lukaku could pose a big threat on Sunday’s clash, and the Toffees’ defence has to be on the toes to stop the former Chelsea striker. Due to Lukaku’s incredible exploits for Everton last season, wherein he racked up 25 goals in the Premier League, Manchester United sealed the deal for the big Belgian for the initial £75m on the five-year contract. Having successfully signed for the Red Devils, there were huge expectations of whether Lukaku will replicate his form and score volumes of goals for the English giants in the 2017-18 season. And much to the hope and strong belief of the enthusiastic Manchester United fans, Lukaku has started the season on a bright note, scoring six goals in as many appearances for the Red Devils. Lukaku’s sparkling form has been a big concern for Everton manager Ronald Koeman, with the Dutchman insisting that they have to improve defensively in order to stop Lukaku from scoring goals on Sunday. Ahead of Everton’s tough trip to Old Trafford, Koeman said, “We know him really well. He’s one of the best strikers. I mentioned several times last season that he’s a great finisher. I hope that we know how we have to defend against him. Everton head to Old Trafford with back-to-back defeats against Chelsea and Tottenham, and considering the scintillating form of Manchester United, it shall be interesting to see whether they can cope with the in-form team of Jose Mourinho. 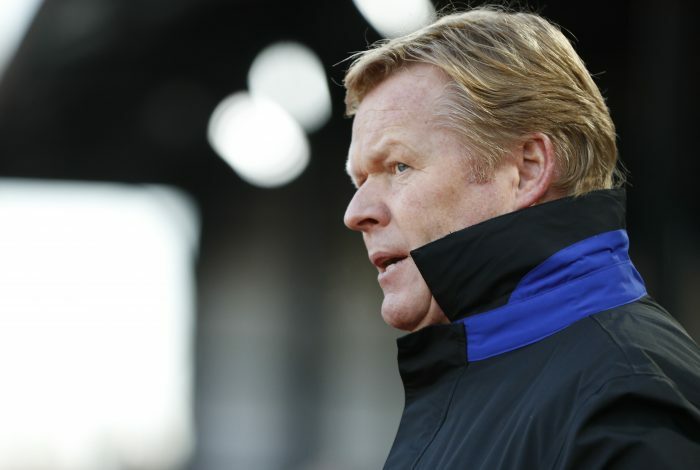 On the other hand, Old Trafford has always been a happy hunting ground for Ronald Koeman, as he enjoyed back-to-back wins with Southampton, before the last gasp Ibrahimovic penalty against Everton in April denied him a hat-trick of wins at the Theatre of Dreams.